soochnaseva | Soochna Seva team at Aron goes a step forward and helps the villagers to get their hand-pump repaired by PHE dept. Few years ago, people at Dehari Kalan village in Aron block were overjoyed when a new hand-pump was installed in their village. It eased their trouble of fetching water. Ladies were not forced to travel long distance and carry the water pots over their head. It also quenched the thirst of people whenever they were thirst and also helped villagers to feed their cattle with water. But to their dismay all their comfort came to an end when the only hand pump in the village broke down. All of a sudden the entire dependency on the hand pump came to standstill. Once again the villagers were forced to travel long distance to the rivers irrespective of weather conditions. The villagers complained the administration not once but many a time and still their requests were left unanswered. One fine day the Soochna Seva team visited the village for their door-to-door visit and informed people about the schemes and policies. They also gathered people to one place and explained about the Soochna Seva project to them. During the discussion the villagers notified the team about the negligence of government officials in repairing the hand pump. Soochna Seva team grasped the situation’s graveness and went to the PHE department in order to request them to take some action. But the officials denied and informed them to give a written complaint. So, they wrote an application and submitted the application in PHE department. But still no action took place. Thereafter, the team kept on visiting the department and insisted the officials to take some action. The officials always escaped by stating vague excuses about unavailability of workers or spare parts. The team then wrote a letter once again and this time they took signature of the villagers and forwarded the photocopy to the District Level department. 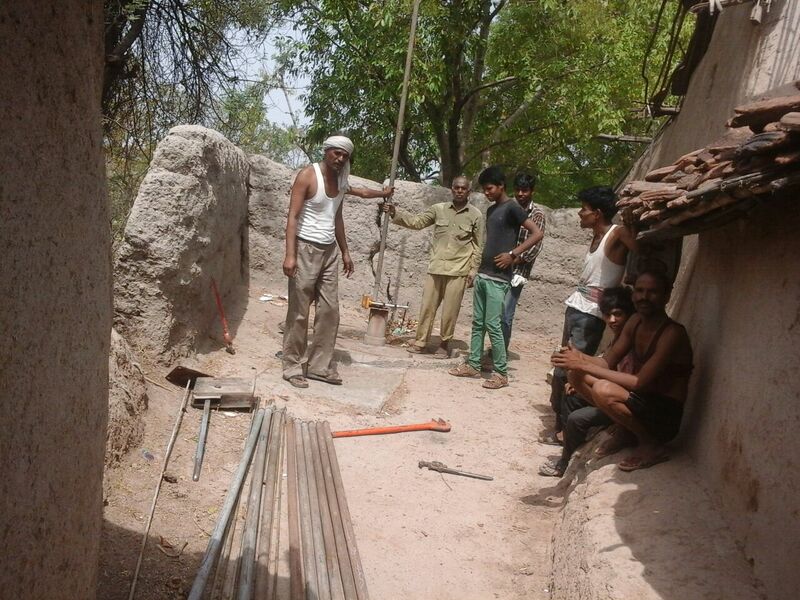 The PHE department took immediate action and repaired the hand pump in no time.